Is it you?.. 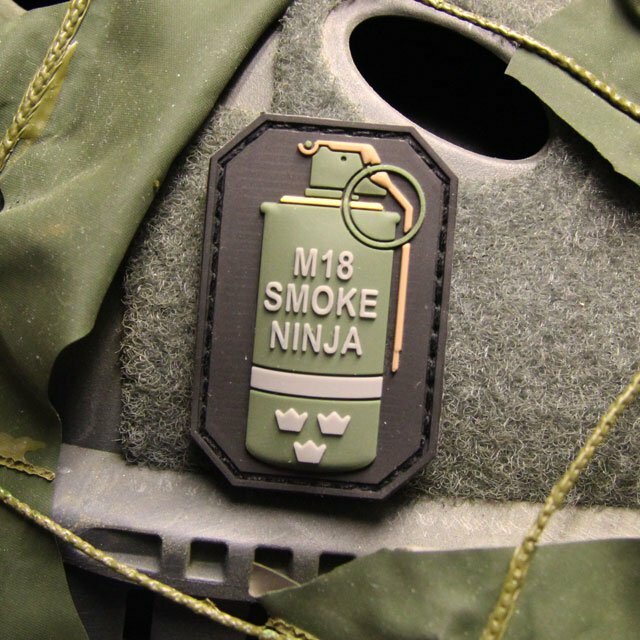 or.. do you know the Ninja in your team? You know the one that miraculously escapes close encounters, misses out on tedious duty, latrine service, disappears only to turn up unexpectedly etc etc! Fits your description or your buddy´s? 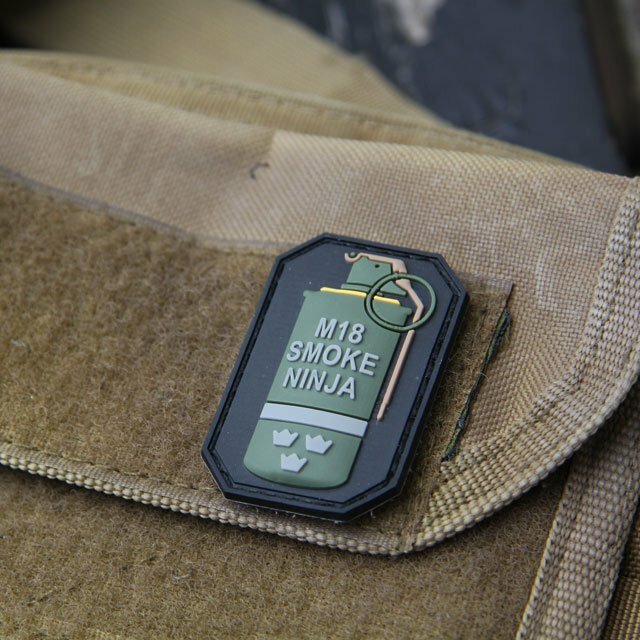 Be proud of your ninja like ability and boost it with this morale patch! When cornered do your thing and deploy your yellow smokescreen and off you go shielded from sight and get out of trouble...as you always seems to do..! As a TUG twist and for extra Swedish connection note the three crowns on the grenade which sets this patch apart! 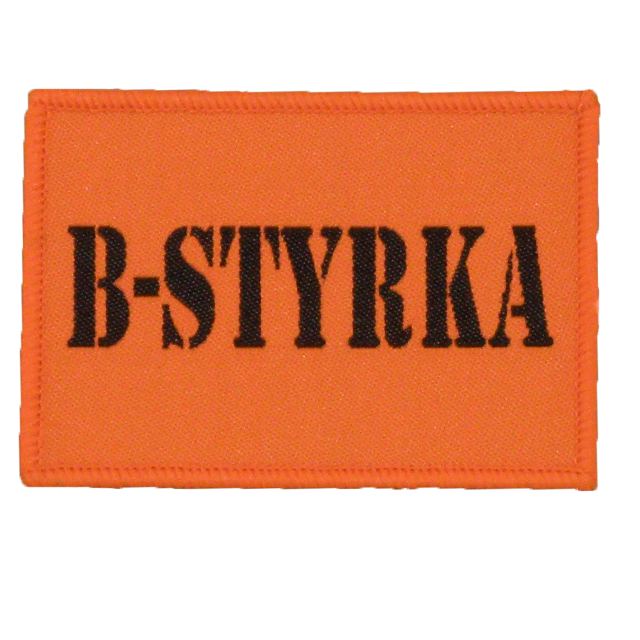 - Fits excellent with hook backing on your combat vest or gear! - Supplied with extra matching piece of loop for your usage.